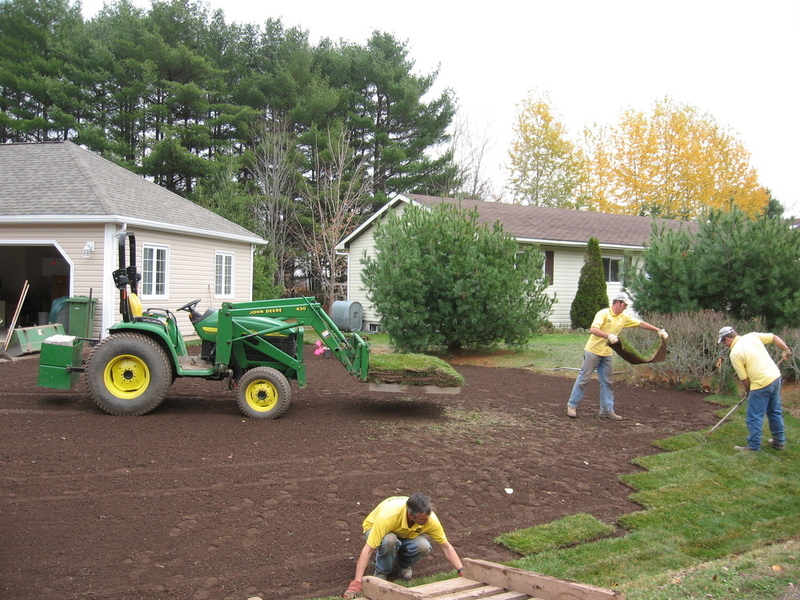 Since 1972, Kentville and Annapolis Valley residents and businesses have turned to Lorraine Landscaping and Lorraine Lawn Care for their landscaping, lawn care, excavation, drainage, and snow removal needs. Our dedicated staff, many of whom have been with us for many years, have worked diligently to build the excellent reputation we enjoy in our beautiful Annapolis Valley. We are an experienced full-service Landscaping Contractor offering both softscape and hardscape landscape design and construction. From elegantly simple low-care designs to spectacular garden spaces with striking custom-crafted stone hardscaping, we can help you create landscaping that best suits your needs and your site. And, to set your landscaping apart, we can design and craft unique landscaping features including stunning outdoor living spaces that will complement your lifestyle and property. Specializing in paver and natural stonework, we have extensive experience in hardscaping and have become known for our design work and exemplary workmanship. 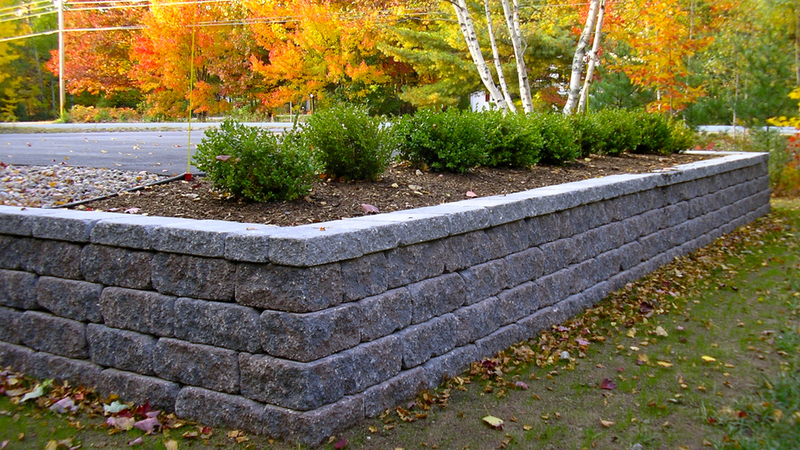 We craft custom retaining walls, walkways, patios, driveways, ponds, water features, fireplaces, fire pits and custom seating areas. Well-designed and professionally installed landscaping not only adds to the enjoyment and functionality of outdoor spaces, but also enhances curb appeal and increases the re-sale value of your property. Read More Here. In addition to landscape design and construction, we also offer a full range of landscape maintenance / groundskeeping services including major seasonal clean-ups and debris removal. Our Lawn Care Services include: mowing and lawn edging, and to help keep your lawn green and healthy we can offer you fertilization (up to 4 applications Spring through Late Fall), weed control, insect control, core aeration (to combat soil compaction), and liming (to adjust soil acidity). For those who wish to undertake their own gardening and landscaping projects, we sell and deliver premium bark mulch, screened topsoil, premium garden soil, excellent compost, gravel, crusher dust, and various decorative landscape rock. Our excavation crew is very experienced at site prep work, grubbing, sewer and water line installation, grading, trenching, ditching, culvert installation, and drainage remediation work. During winter months, when we have to lay down our landscaping tools we turn our attention to snow removal and ice management work. With several years of experience, our dedicated snow plow operators are very skilled, very careful and very reliable. We also offer Emergency Storm Damage and Flooding service to address fallen trees, debris, and water drainage issues. And on a final note, as time permits during the shoulder seasons, we craft beautiful custom furniture and cabinets (largely custom kitchen cabinetry and office furniture but if it's made from wood we should be able to make it for you). We would be pleased to speak with you to discuss your needs. While we offer free estimates and quotes, as every job and site is different, we generally need to make a site visit to provide a quote. We offer trucking of fill, soil, gravel etc to and from job sites. 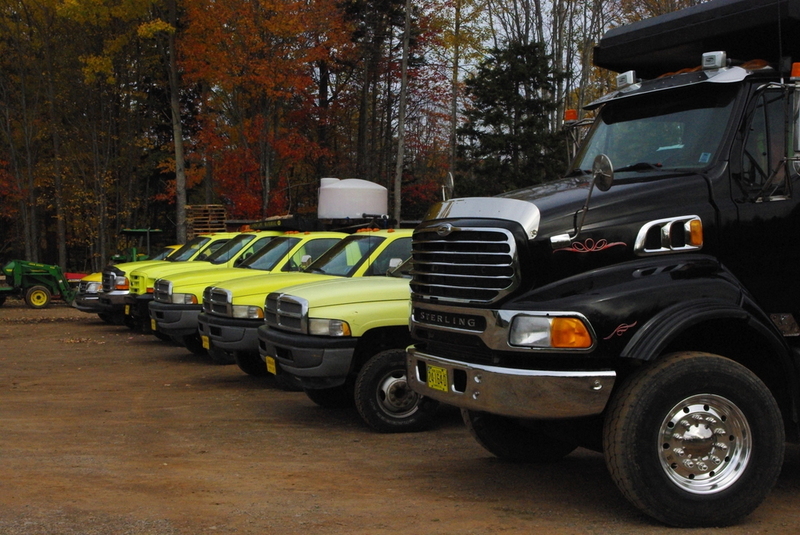 Call us 902-538-3500 to discuss your trucking needs. We offer storm damage clean up including tree removal, debris clean-up, and water drainage problems. We offer excavation work for basement flooding and broken sewer and water lines. In addition to being fully insured and maintaining excellent standing with Workers Compensation, we take pride in being members of the Better Business Bureau, Landscape Nova Scotia, and the Canadian Nursery Landscape Association. We offer winter services to the Kentville and Coldbrook areas only. 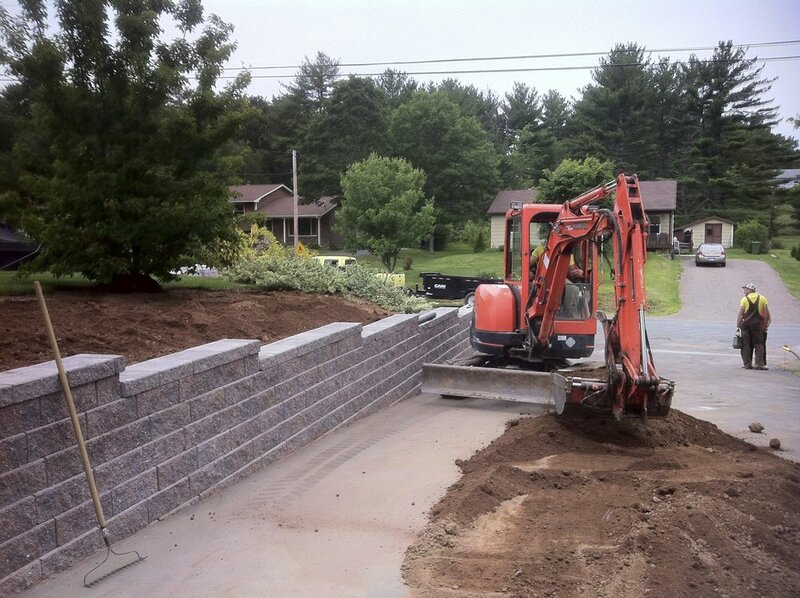 Landscaping materials (delivered or picked-up). See our Product page for further details. Kentville. New Minas. Wolfville. Coldbrook. Berwick. Kingston. Greenwood. Middleton.Centreville. Canning. New Ross. Digby. Windsor. Falmouth. Hantsport. While our regular service area is the Annapolis Valley - Windsor to Digby corridor - we regularly take on projects outside this area.